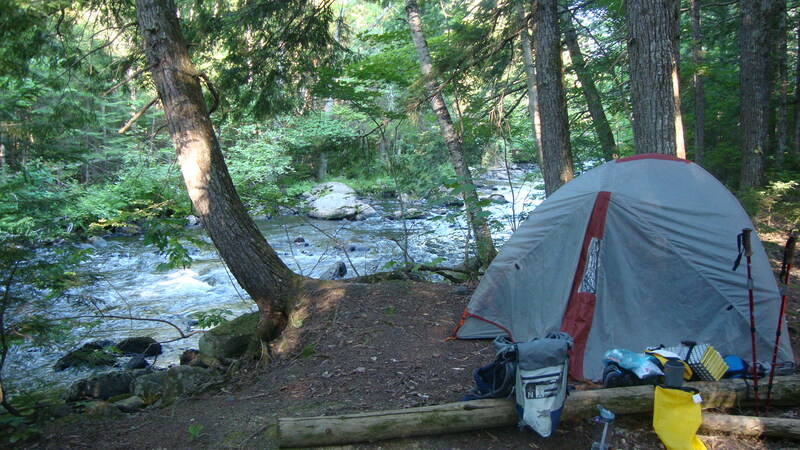 I remember my last day on a section hike of the Appalachian Trail in the Maine 100 Mile Wilderness. All I wanted was a cheeseburger. Well, a huge cheeseburger and fries. After eating mostly dehydrated food for 8 days and losing 14lbs, I was beginning to be obsessed with real food. Imagine the through-hikers doing this for weeks on end. When they do exit the trail for resupply, they often have binge eating episodes. 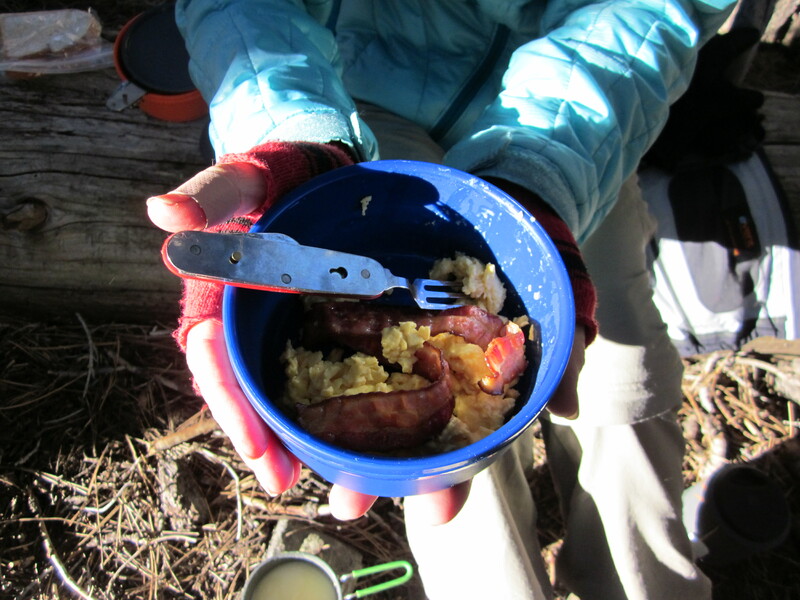 A backcountry trip requires quite a bit of planning and food is a major part of it. There have been many innovations in the area of dehydrated food. I’ll discuss some suggestions for other foods that may work for you on the trail and a few that may not. Mountain House makes quality meals. My favorites are grilled chicken breast with mash potatoes, lasagna with beef and beef stroganoff. Backpacker’s Pantry has some good selections too. Rounding out the top three is Alpine Aire Foods. When cooking dehydrated meals, you have to account for higher altitudes. 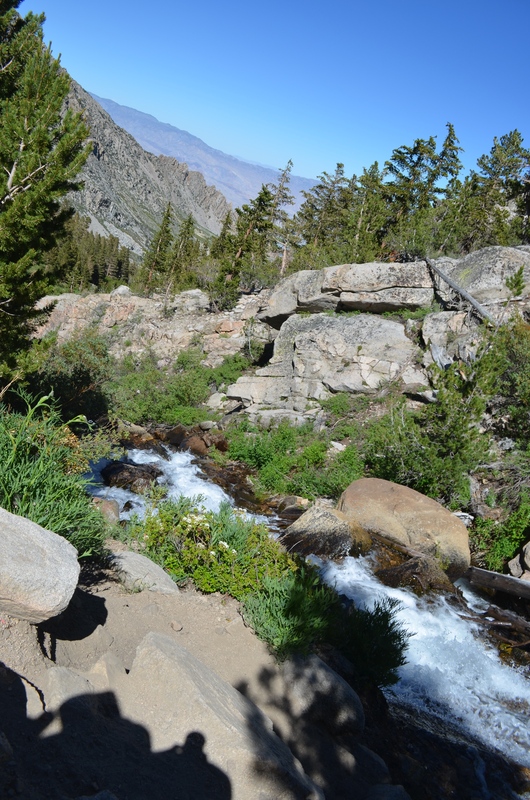 Let it soak longer when you are above 8,000 ft. Undercooked freeze-dried food is just gross. 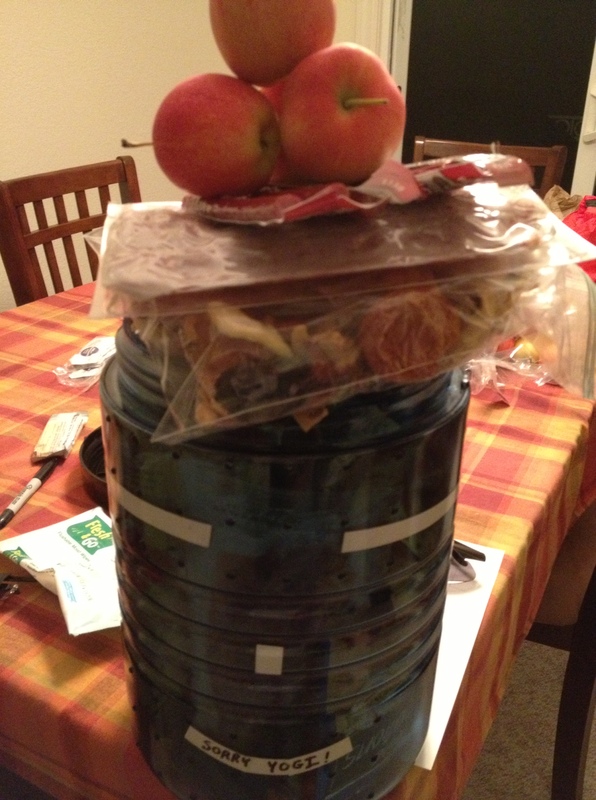 Try cramming 7 lbs of food in a bear canister. – Ramen is the most portable. You can put it in plastic baggies. Add some pita bread or tortillas and you have a meal. Good when you don’t have much of an appetite. – Foil packed meat like chicken, fish like tuna, salmon do well. Pepperoni, summer sausage do ok. Beef or turkey jerky-oh yeah. – Apples, oranges last up to a week. Eggs and bacon, thank you. A mixture of nuts with dried fruit and/or yogurt chips will last. Chocolate chips can melt in hot temps. Packets of peanut or almond butter are nice for apples or crackers. – Starbucks Via worked well. Also have used instant coffee. Powdered milk or creamer mixed with sugar in a baggie. – I carry a portable spice container: http://amzn.to/1KKNEli that holds about 8 different spices. Nice to be able to spice up your meals. – A brand name Ova Easy Crystallized Eggs tastes close to real scrambled eggs. http://amzn.to/1KKNN8B Much better than powdered eggs. Oscar Mayer or Hormel Pre-cooked bacon worked great, just heat it up for a few minutes in a pan. Soft fruit like bananas, pears, Chocolate, Bread that doesn’t have preservatives, canned food-you have to lug the empty cans around. Before your trip, plan out your menu and carry an extra day or two of supplies. Lay out your food and pack it as individual meals so you aren’t digging through your canister or food bag for each meal. Depending on where you hike, bear canisters may be required, check with the Forest or Park Service Rangers ahead of time. Canisters are bulky and add a few pounds but will keep the critters out of your food. In non-bear areas, a waterproof food bag will work. You will still need to hang it to keep the little vermin out. Those shelters on the Appalachian Trail are hosts to plenty of well-fed mice. Remember the Leave No Trace (LNT) principles. Pack-it-in, pack-it-out. I carry some extra gallon baggies to store the used packaging. The plastics and foil packaging is not biodegradable and doesn’t burn well in a camp fire. Please pack it out. 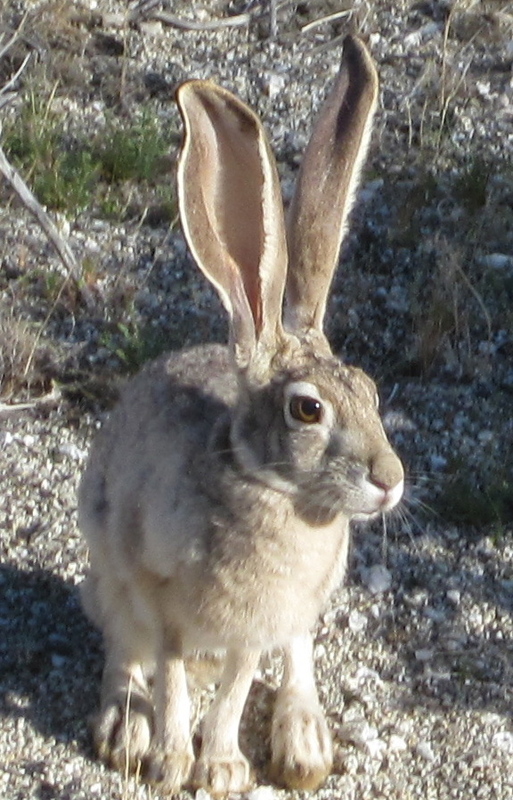 California jackrabbit in the backcountry.